An enhanced version of reality where live direct or indirect views of physical real-world environments are augmented with superimposed computer generated images over a user’s view. • In simple words you can see the virtual things augmented on real world at real time. • The best Example of AR is PokemonGo. 1. Marker Based Augmented Reality. 2. Marker less Augmented Reality. 3. Projection Based Augmented Reality. 4. Superimposition Based Augmented Reality. • Augmented reality devices are often controlled either by touch pad or voice. Virtual reality is the term used to describe a 3D, computer generated environment which can be explored and interacted with by a person. In simple words Virtual Reality is a technology through which you can sense and feel the virtual world or the computer-generated graphics in like the real world but not in the real world! • You can enter the world of virtual reality with the help of VR-BOX…! • Virtual reality is the term used to describe a 3D, computer generated environment which can be explored and interacted with by a person. • An enhanced version of reality where live direct or indirect views of physical real-world environments are augmented with superimposed computer generated images over a user’s view. • You would be presented with a version of reality that isn’t really there, but from your perspective it would be perceived as real. Something we would refer to as a virtual reality. • Virtual Reality is nowadays a major part of the Future of Technology and as well as it is very useful in day to day life e.g. 1. Used by pilots to simulate the in extreme conditions for training. 2. You can use it to explore different places by not even moving an inch. 3. You can enjoy movies with the whole new 3-dimensional experience. 4. Can be used to learn driving. 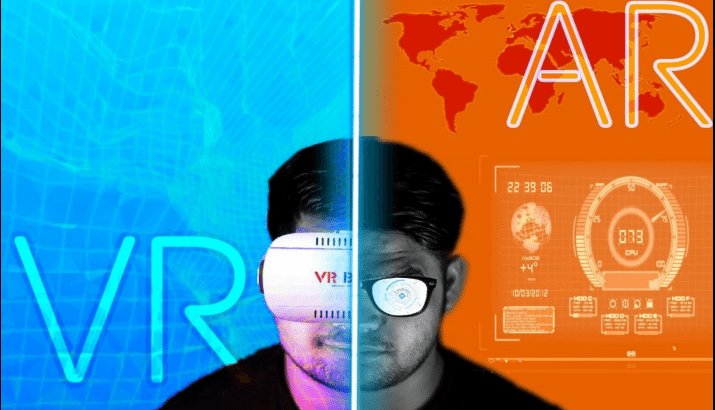 Knowledge Bite: Mixed reality (MR), sometimes referred to as hybrid reality, is the merging of real and virtual worlds to produce new environments and visualizations where physical and digital objects co-exist and interact in real time. Yup the fusion does exists……!